Memorial Day Weekend is here already! I started off my weekend by planning a little downtown scavenger hunt of Bradley Theodore murals. The good news is that most are within walking distance of each other. The better news is that the rain held off until I was finished with my tour. 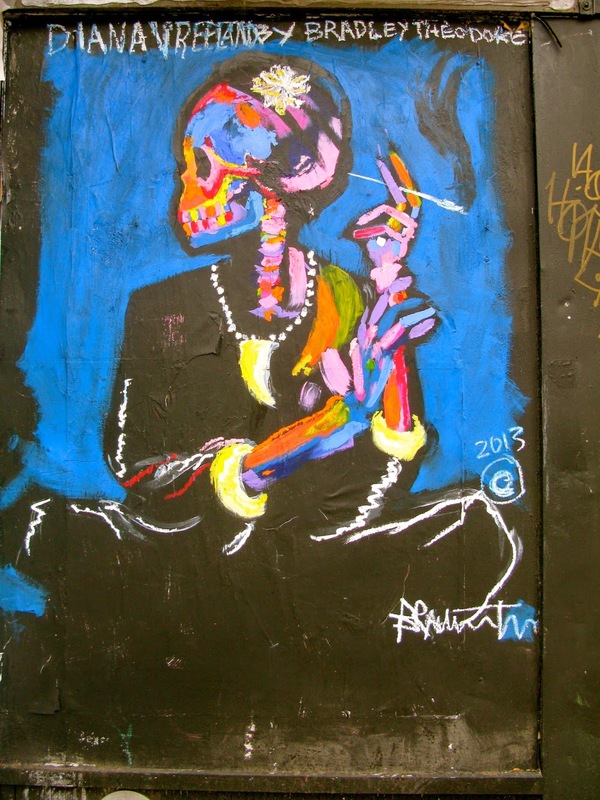 I first found the Anna & Karl mural back in March, and instantly fell in love with BTH's work. 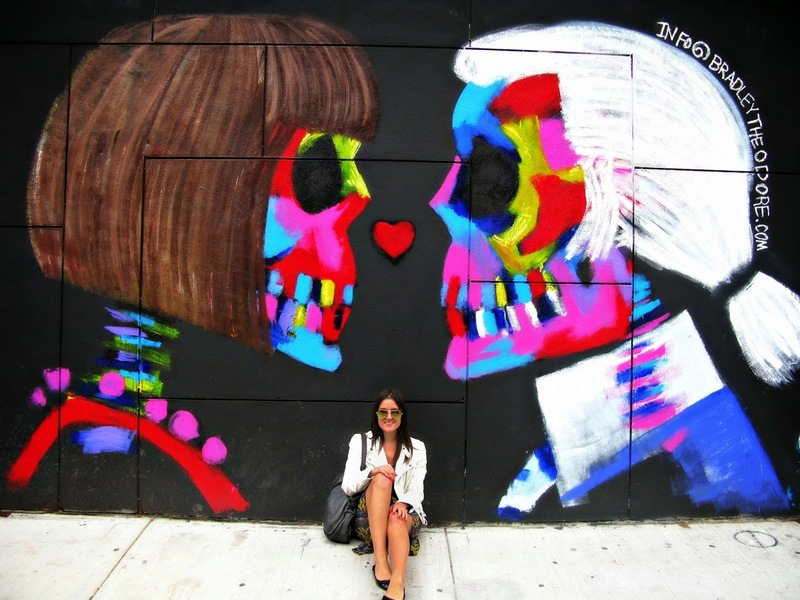 His love for fashion mixed with the colorful talent of skull mural after skull mural--I mean, what's not to love about this? I could have stayed posted here all day enjoying the mural, but it was getting cloudier by the minute, and my scavenger hunt in downtown Manhattan had just begun! Next up in the street art world of fashion: Grace Coddington, who seems to be grabbing up at you from below in this unique mural. 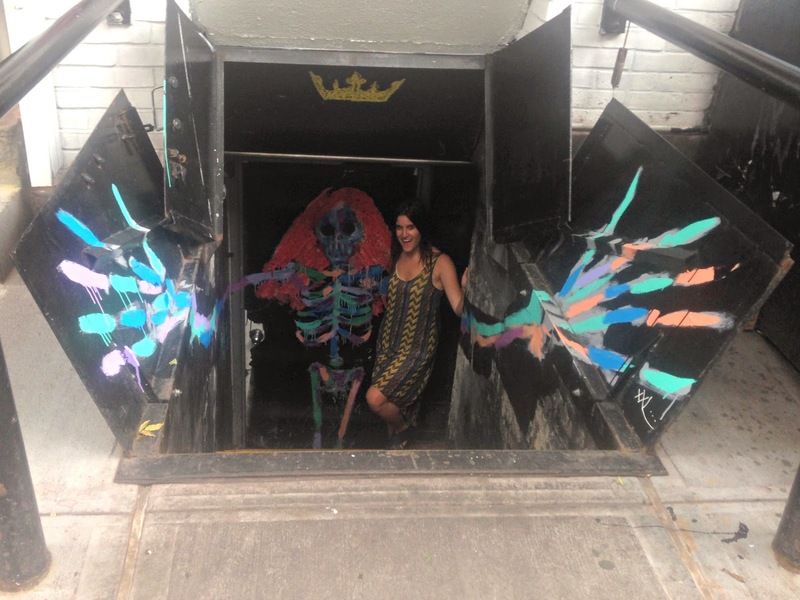 This NoLiTa bar, the Musket Room, seriously has the coolest cellar doors EVER! 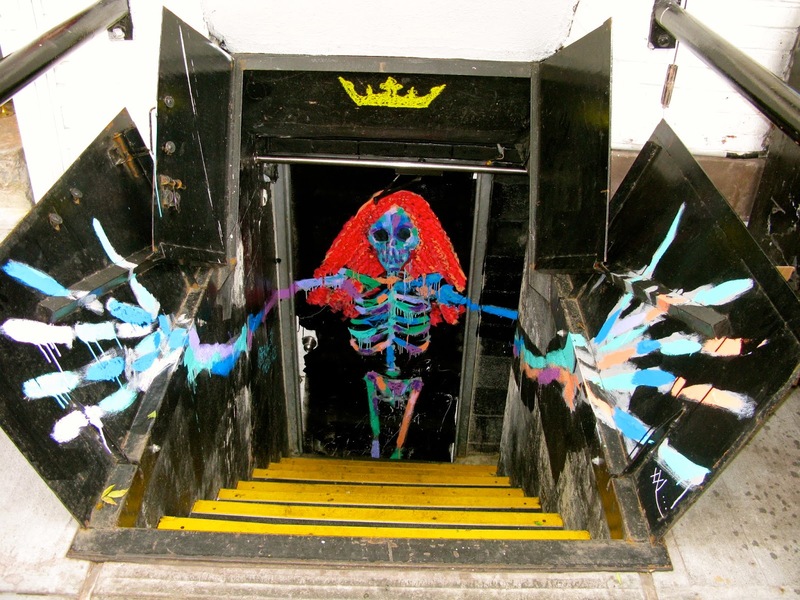 I only have a couple of BTH murals left to discover in the city now-- a Terry Richardson in SoHo and Frida Kahlo inside BangBang Tattoos. I'm not so secretly hoping that by the time I plan my next adventure, he'll have something new in the works!! 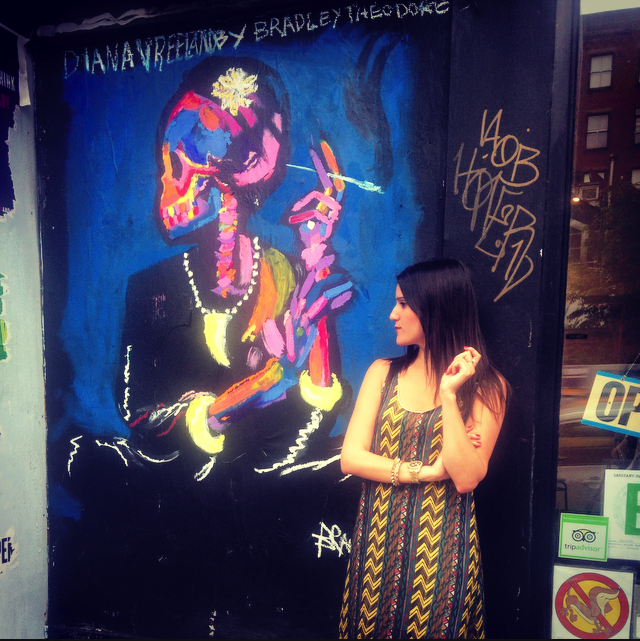 Check back tomorrow for more pictures taken in Little Italy and NoLiTa! Have a fabulous MDW! 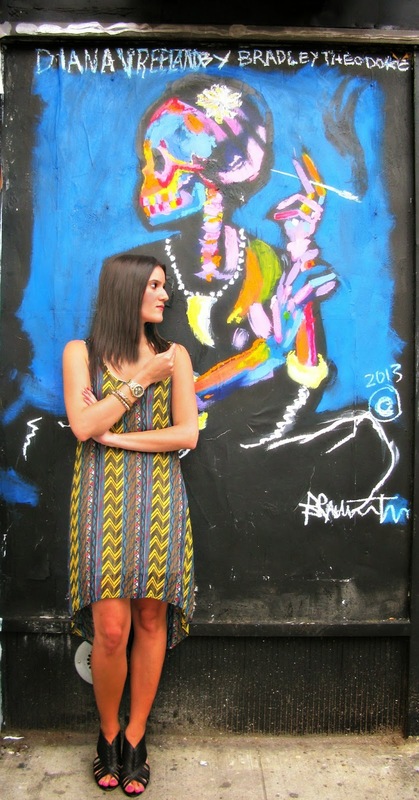 Outfit pictured: Striped aztec dress from Necessary Clothing. Wedges by Vince Camuto, white leather jacket from Forever 21.